Attraction Introduction: Explore and experience and capture through photography the beauty, solitude and mystery of Slot Canyon, Fonts Point, the Wind Caves, Coyote Canyon, Blair Valley Native American Village site and much more. Borrego Jeep Photo Adventures. Learn how to photograph the desert landscapes of the Anza Borrego Desert in Southern California with Arron Dennis C.P.P certified Professional Photographer. Create memories and capture the beauty of the breathtaking desert landscapes. All tours include (at no cost to you) photo instruction by a certified professional photographer, Aaron Dennis.You can also choose to have your portrait taken a scenic desert locaton at no additoinal cost. A once in a lifetime experience for the entire family. Visit their web site for more information on the Anza Borrego Desert jeep excursion tours, rates and booking information. 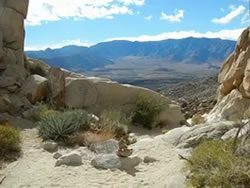 SPECIAL DISCOUNT: 50% off Anza Borrego Desert Jeep Tours . To redeem this discount mention Attractions in America at time of booking or print out this page. Attraction Introduction: An awesome location to see nature on the coast of San Diegos La Jolla. Get up close and view the wildlife that make La Jolla their home. A sight to see when in La Jolla outside of San Diego in California is a place referred to as Childrens’ pool. This location draws tourists and locals alike. 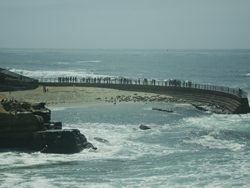 The seals and sea lions have taken over this area and bask on the beach after a day of feeding. A definite put on your list for the entire family, a free attraction popular attraction for visitors from all over the world. Splendid views, wildlife and parks for a day of picnicking. Our number one pick for things to do in La Jolla sightseeing. No fee to enjoy the view. If you are looking to do some sightseeing in San Diego and want to visit one of the most beautiful beaches in the Area, then the La Jolla coast will not disappoint. Wildlife, the ocean, shopping and more in one beautiful area. Attraction Introduction: THings to do in California for the entire family. 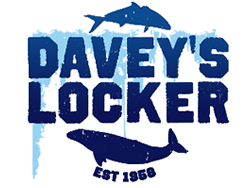 Davey’s locker serves the greater Los Angeles area providing whale watching and deep sea fishing excursions year round. Davey’s Locker is located approximately 40 minutes from downtown Los Angeles and just minutes from most of Orange County located in Newport Beach, California. Davey’s Locker departs from a natural harbor in Newport Beach, California. Davey’s Locker Sportfishing & Whale Watching is where Southern California goes to experience what the pacific ocean has to offer. Davey’s Locker is the most popular option for those who are looking for whale watching excursions in southern California. Thousands of whales viewed each season and beautiful coastline combines to make a world renowned whale watching destination. The same pristine habitat that draws whales and dolphin supports amazing inshore and offshore fisheries year round. Along with general admission whale watching and deep sea fishing excursions, Davey’s Locker provides charter fishing boats, and private boat rentals for fishing and whale watching excursions for all size groups. A perfect memorable outing for the entire family or tourist destination for fishing and whale and dolphin watching off the coast of California. Visit the web site for more information, details and how to book a great day in Newport Beach. Attraction Introduction: When sightseeing in Downtown Los Angeles, a must do is to take a stroll through Union Station. Looking for things to do in Los Angeles? Take a stroll through and around Union Station in Downtown LA. Open 24 hours, the historical Los Angeles Union Station is the main railway station in Los Angeles, California and the major transportation center in Southern California. 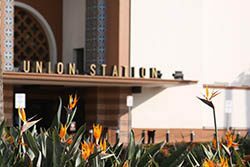 Built in 1939 this historical and beautiful train station is across from Olvera Street and surrounded by historical buildings and sights. A few miles away is Chinatown and the Los Angeles Civic center. A full day of sightseeing in Los Angeles for the entire family. History, shopping, dining can all be found within steps of Union Station. Plenty of parking and free access to Union station, Olvera street and other great sightseeing opportunities.